Nowadays, a home workspace is much needed where there are many people doing their job at home. Besides, business man and woman also need it that they have things to be done wherever they are including when they are home. A home office doesn’t like the other room on your home where you just have to make it look pretty and comfortable, a home office should be designed simple, cozy, and functional. Related to the needs of a home office design, you have to make it suitable with your job, as an example if you don’t use books while doing your job, then you don’t need to place a bookshelf on your room. In this case, considering the way in which the room is going to be used is quite important. If you do your entire job at home, then you just need to consider the room design that can make you feel motivated all the time. Create a place in which you are going to be happy spending time there. 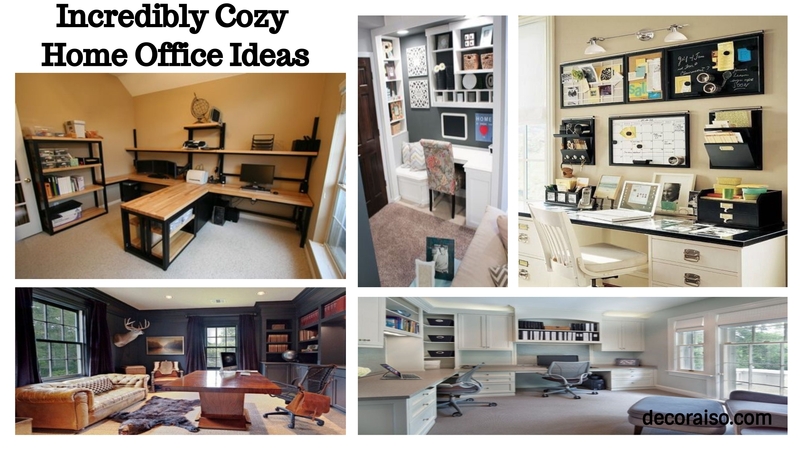 Here, we serve some cozy home office designs to help you collecting ideas for your own workspace.